Italian ground vehicles in War Thunder! 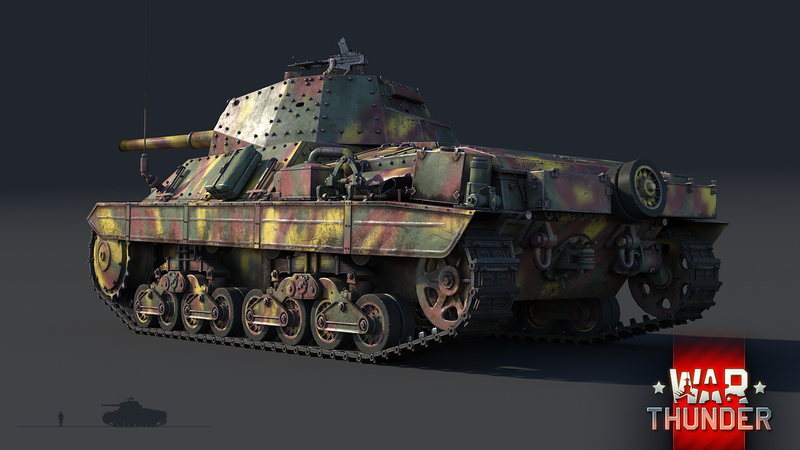 We are happy to introduce the first Italian tanks that will give Italian vehicle fans access to combined battles! Recently we announced the Italian aircraft research tree and many players asked us to introduce Italian ground vehicles that could participate in combined battles. 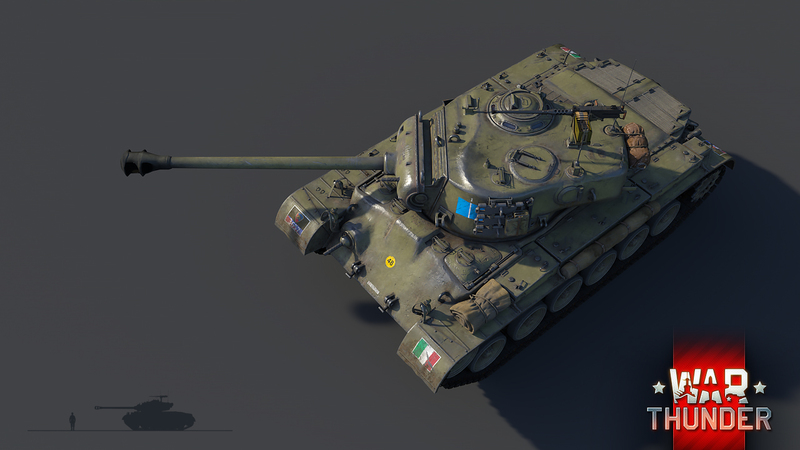 The Italian ground vehicle tech tree is currently in development but in order to make it possible for Italian vehicles to participate in combined battles, we decided to add two tanks early in the upcoming major update. 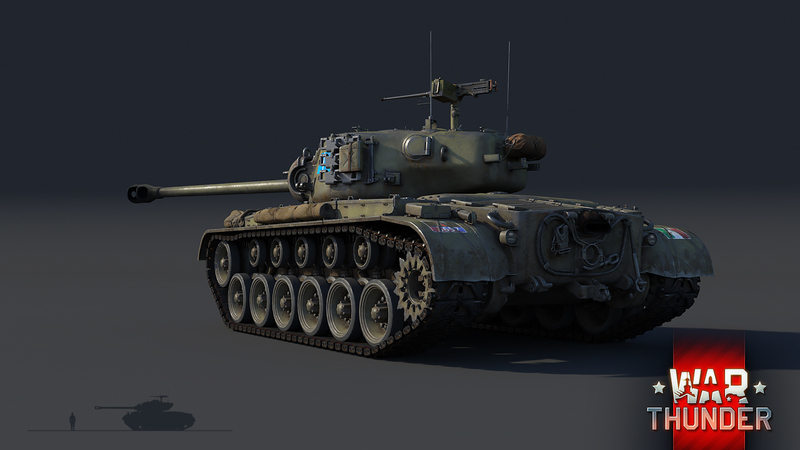 In War Thunder update 1.73 “Vive la France” we are introducing (along with the French aircraft tech tree) two premium Italian tanks: the medium P40 for earlier ranks and an Italian M26 “Pershing” for higher ranked battles. Both tank packs are now available in our online store. 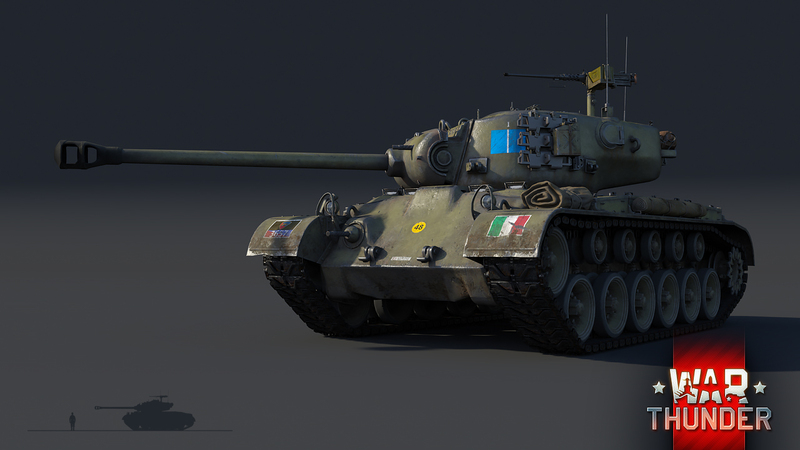 Before the introduction of the Italian ground forces tech tree, these additional vehicles will have 3 respawns in all modes. Let us tell you more about these machines. 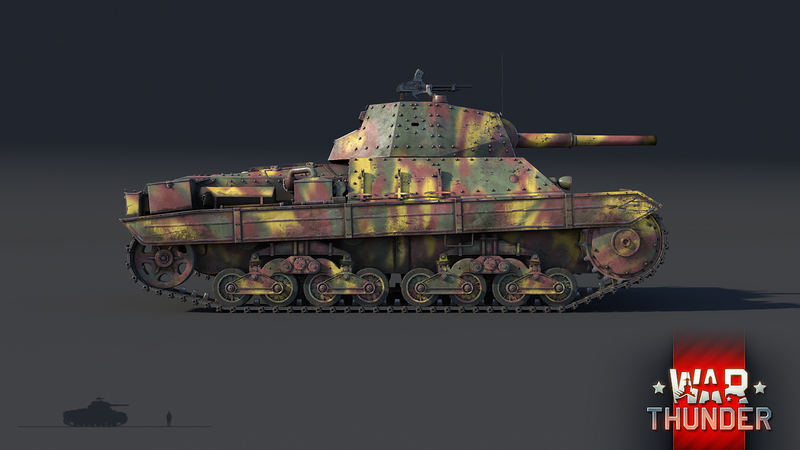 The P40 is an early 1940’s Italian heavy tank project that, due to a lack of resources and the limited capacities of the Italian industry, only a relatively small amount of these were built. Despite these severe problems that the vehicle had to face throughout its short life, it still managed to leave its mark in military history. Now, the P40 has firmly set its sights on War Thunder’s update 1.73, where it will form the vanguard of the upcoming Italian ground forces tree! Development of the P40 began as early as 1940, once Italian engineers started work on a heavy (by Italian national classification) tank project. Although the initial design called for a primary armament of three machine guns as well as a 47mm main gun, armour thickness of up to 40mm and a crew of five, most of these initial design specifications were changed in 1941, after the legendary T-34 made its first appearance on the Eastern Front. The effectiveness of the T-34 on the Eastern Front impressed the Italians, prompting them to quickly revise the P40’s design. After Italian engineers examined and assessed the performance of a captured T-34, the decision was made to increase the P40’s armour protection up to 50mm and equip the vehicle with a stronger 75mm anti-tank cannon, as well as getting rid of two machine guns and a crew member in the process. Development of the P40 was advancing with a rapid speed and nearing completion status, but by the time the aforementioned modifications were applied, the vehicle’s total mass of 26 tonnes was already grossly exceeding the 20 ton weight limit. 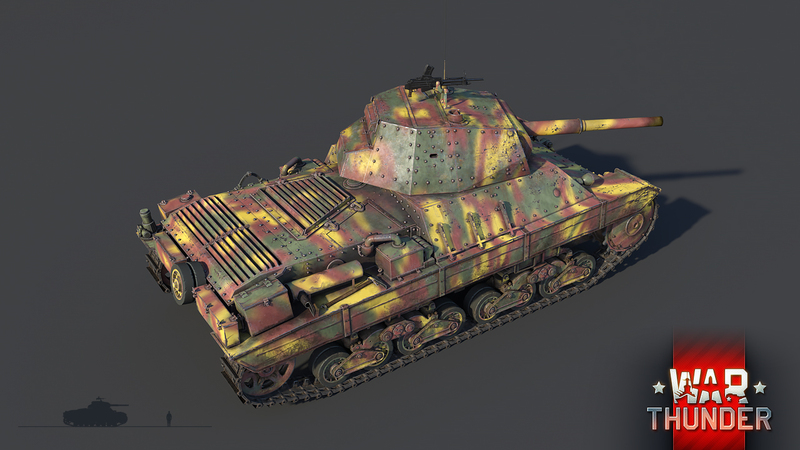 In War Thunder, the P40 medium tank will be among the first Italian ground vehicles players will have the chance to get their hands on. 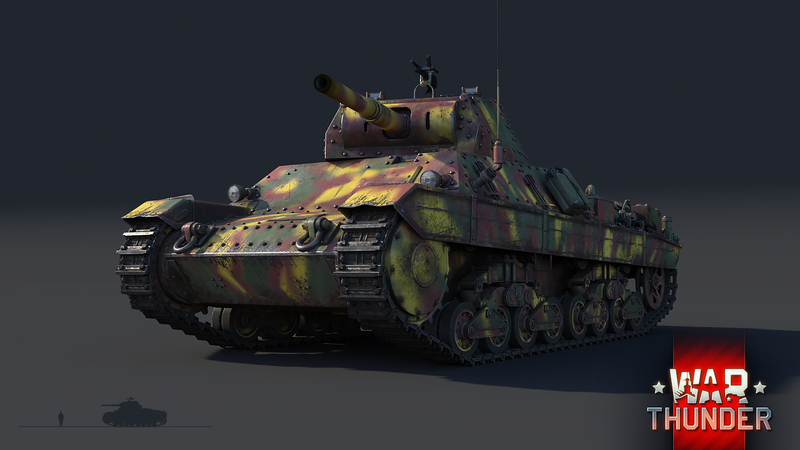 The vehicle will take its place at the lower ranks of the newly formed Italian ground forces tree, as a premium vehicle. When looking at the general characteristics of the P40, one would be correct in assuming that this vehicle falls more under the medium tank classification. In fact, the only reason it was classified a heavy tank by the Italians was because of the vehicle’s intended support role. The performance of the P40 was, at the time of its introduction, quite comparable to that of the American M4 Sherman and later modifications of the German Panzer IV. The P40 was equipped with a 75mm anti-tank cannon, capable of penetrating 70mm of armour at a range of 500 meters, as well as a Breda 8mm coaxial machine gun. The armour protection of the P40 is also, unsurprisingly, relatively thin for a vehicle that was classified as a heavy tank. 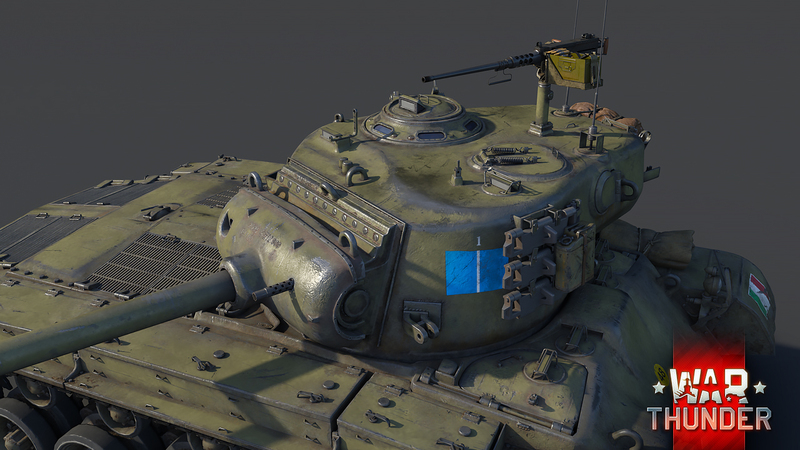 At its thickest, the armour protection on the P40 rises to 50mm on the turret. With the frontal hull plate being 50mm thick. Though this armour protection might seem a bit underwhelming at first, it may still prove itself effective against certain cannons found on lower ranked vehicles. Thankfully, the relatively thin armour doesn’t weigh the P40 down too much, the 330 horsepower diesel engine is entirely capable of getting the vehicle up to its maximum speed of 40 km/h in a relatively short time. As such, the P40 can keep up with the advance of lighter vehicles and effectively support them throughout the battle. Don’t get carried away though! As previously mentioned, the armour protection is good enough to stop only certain, usually lower calibre, anti-tank cannons. 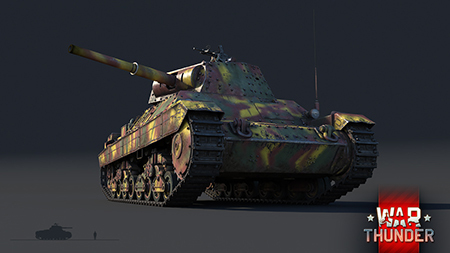 By being right out there in the heat of the battle, players may expose their tank to foes equipped with much more powerful primary armaments. As it happens, neither the tank nor its crew like the sound of that very much, especially the crew. The four man team operates in cramped conditions, meaning that a single successful penetration to the fighting compartment will likely take out all four crew members from the action in one go. To minimize the chances of this happening, make sure to take on a much more supportive role with the P40. Advance with your allies and stay close to them, focus on individual targets instead of engaging multiple and use your vehicle’s mobility to retreat to a safer position in time before the enemy breaks through! The P40, though being deployed too late and in too few numbers to properly make a name for itself in the real world, is now headed for the heated battles of War Thunder to receive a second chance at earning a fearsome reputation. “This project was selected by the Italian Forum Community via poll, it was very very hard to find information and data about this tank because it was built when the war was nearly at an end for Italy. We purchased books and the original tech manuals. We also visited and measured 1 of the 2 surviving tanks in Rome. We are very proud of this model and we hope that people will love it. 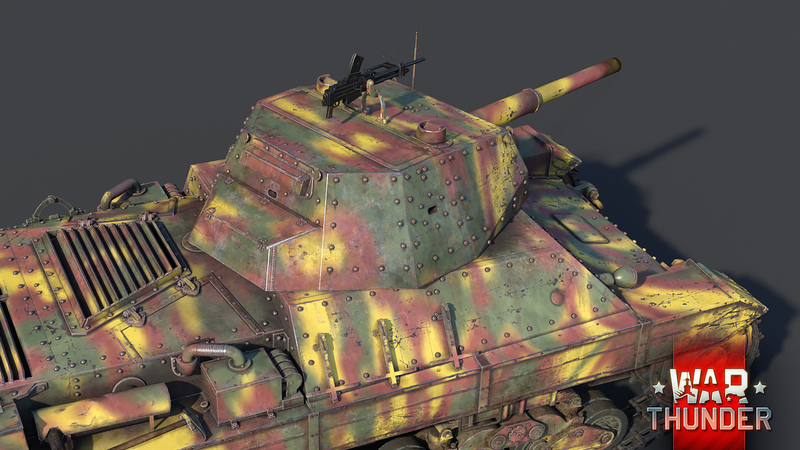 We would like to thank the forum guys that supported and helped us and also the Gaijin's modellers too." The 132nd Armoured Division Ariete - was one of the best Italian tank divisions that proved itself during the North African campaign and at the Battle of El-Alamein in particular. This division was restored in 1948. 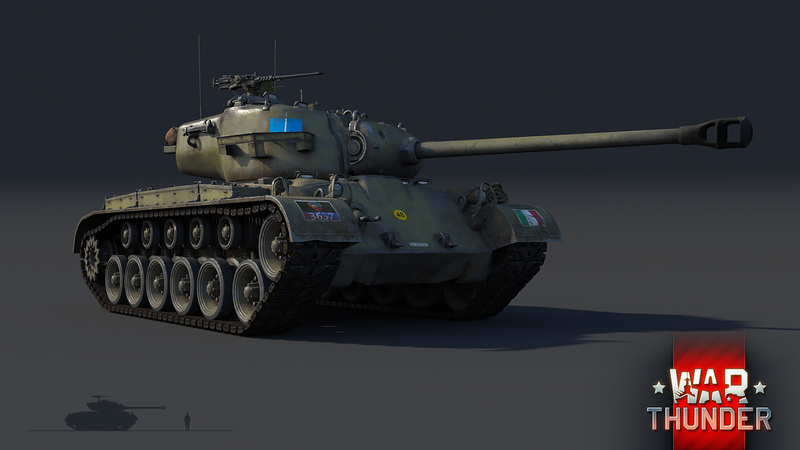 We are introducing the Italian M26 “Pershing” - an Italian tank with American origins. This is a well-known Pershing, one of the best medium tanks in War Thunder, it has its own dark olive-green camouflage, its canvas cover for the gun mantlet is removed as well as track screens. Its tracks are rubber-covered. The Italian “Pershing” has unique decals - 132nd Armoured Division’s markings. This is an awesome rank IV vehicle capable of both holding its ground and playing an active role in the offensive. 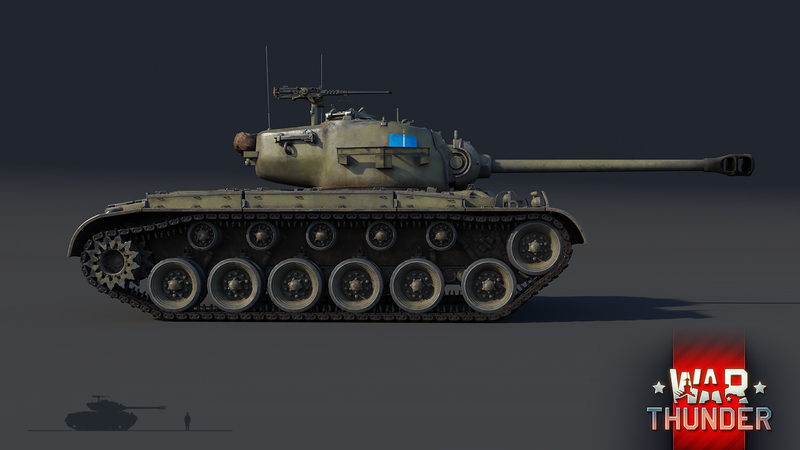 A great choice for higher ranked battles. BlueBeta, Ma i valori di penetrazione del cannone non sono sbagliati ? 20 Euros for a Rank 2 player made vehicle? Aren't you a little bit over your head with those prices? 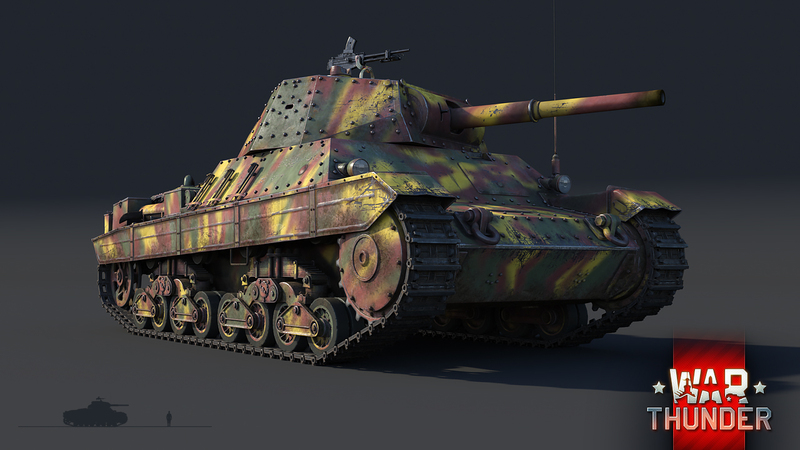 Stona_WT, So the full 20 Euros will go to the creators that are NOT employed by Gaijin? Italy's tank may not be the best but I have a soft spot for them. I'm so happy to see them ingame. Thanks to Gaijin, to Kolin0 and to BlueBeta. Well done! 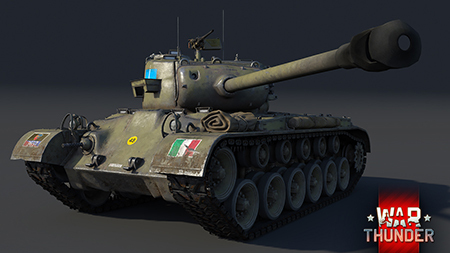 so should we expect italian ground forces in 1.75 or later? I hope so. Going into a tree I expect to see the familiar "Army" lineup. I dunno the M26 in the US tree is kinda bad, not sure making the crew speak italian will fix this.